The Fascenario.3 series is complemented by the F.3 Pro and the F.3 Pro Disc. 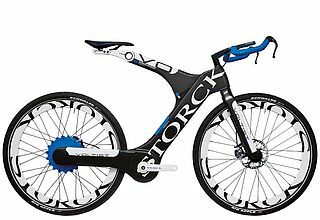 The “Colors of Life” concept is introduced, providing Storck models with more color for the first time. Muted earth tones are intended to take their cues from colors that exist in nature. The F.3 Platinum was the immediate winner in the 2017 Bicycle Brand Contest, winner in the 2017 German Design Award and received the 2017 iF Design Award. The Adrenic Platinum was recognized with the 2017 iF Design Award and a Special Mention in the 2017 German Design Award as well. The nam:e e-bike concept was selected as the winner of the 2017 German Design Award. 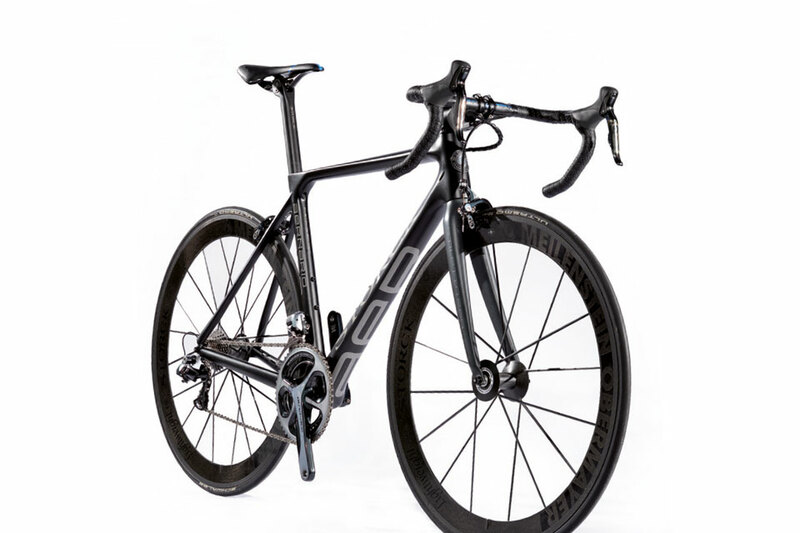 The Fascenario.3 presented by Storck in 2016 is an optimized frame set in every respect. Aerodynamics, comfort, stiffness and weight are as balanced as never before. Storck Bicycle is recognized with the German Brand Award Gold 2016 for excellent brand communications. 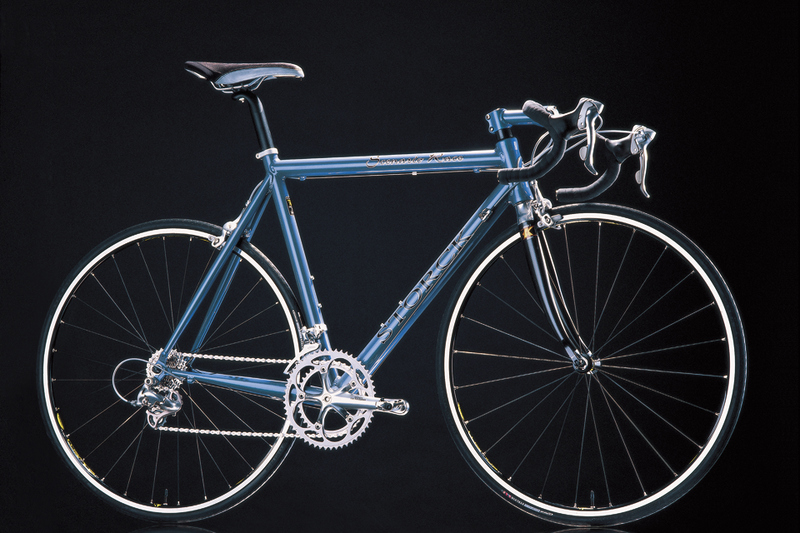 Adrenic Platinum, Durnario Platinum and nam:e are winners in the Bicycle Brand Contest. At the same time, the nam:e is presented with the JEC Innovation Award in Atlanta. 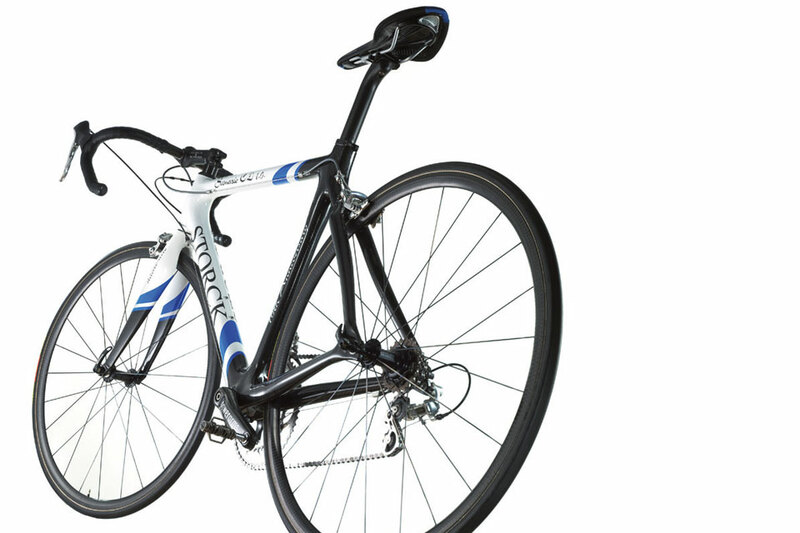 The Visioner Prana is the first ever Storck road bike exclusively for women. 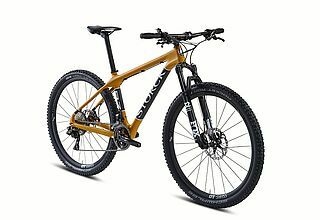 The Mountain Bike range is extended by the Platinum models of Adrenic, Rebel Nine and Rebel Seven, and the T.I.X. 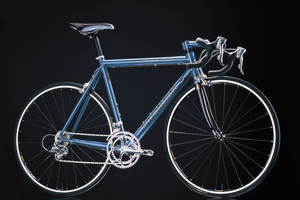 is now available as an aluminum bike as well. The Visioner C (Roadbike 04/2015) and the Visioner G1 (Tour 12/2014) are the test winners in their class. The T.I.X. instantly wins the big crosser test in Tour magazine 11/2014. 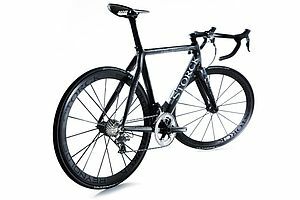 Storck opens further stores in Manila and Düsseldorf. At Eurobike, the new complete bike range is unveiled. 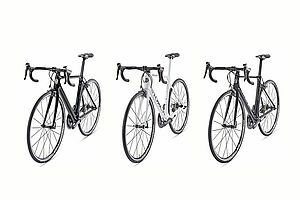 Aerfast Comp, Aernario Comp and Durnario Comp form the basis for technically sophisticated and attractively priced complete bikes, equipped with Shimanos Ultegra and a 105 group. 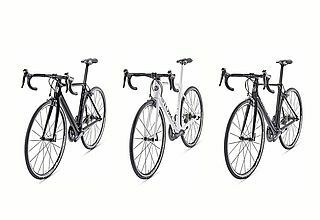 The road bike range receives a clear vertical (Aero, Race /Allround, Endurance) and horizontal (Platinum, Pro, Comp) structure and makes customer choices easier based on intended use and price. The Aero2 is complemented by the Comp as the entry-level model and the T.I.X. is available as a Platinum, Pro and Comp version as well. Together with Rehau, nam:e, an e-bike concept, is unveiled at Eurobike as the result of a research project funded by the Federal Ministry of Economic Affairs and Energy. The Aernario Signature becomes the test winner in the ‘Tour’ magazine 02/2014. The Aernario G1 wins the 2014 German Design Award and the Aernario Platinum clinches the iF Gold Award for the best product design. Stefan Schlegel on Aernario G1 and Aero2 takes an outstanding fifth place in RAAM 2014. 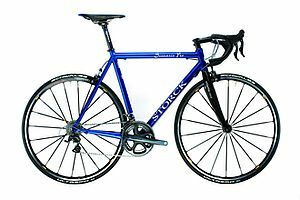 Storck Bicycle becomes a material sponsor of the pewag racing team spearheaded by Faris Al-Sultan. The Aernario Disc becomes the test winner in the ‘Tour’ magazine 06/2014. The T.I.X. (This Is Cross) is Storck Bicycle’s first-ever cross racer. 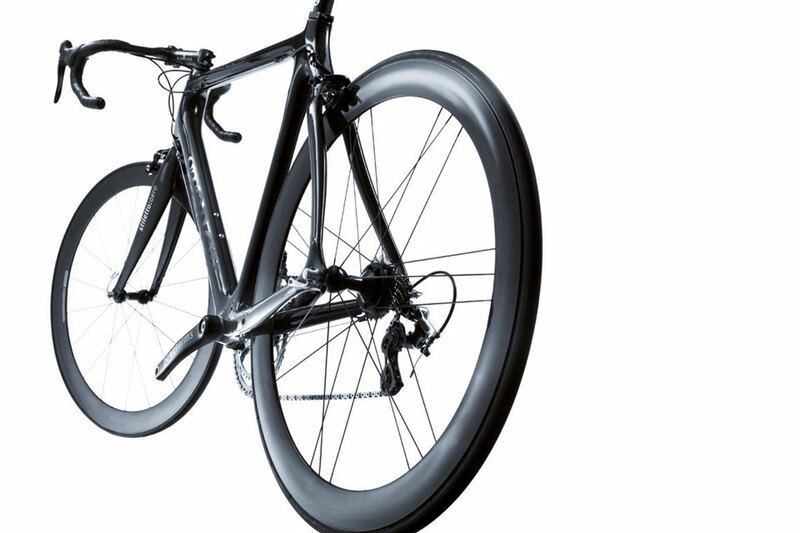 The Airfast, a particularly aerodynamic road bike, is launched. The Scenero is now available with disc brakes as well. 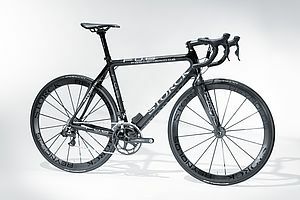 The range of carbon road bikes is extended by the light-weight Visioner CSL frame set. And the Zero2Eight modernizes the trekking bike segment. The virtual four-bar linkage technology that has been a success in the Organic is now also being used in the new Storck fully Adrenic. The Aernario Platinum is the test winner of ‘Tour’ 2/2013 magazine and celebrated as the best frame set of all time. The frame set is awarded a rating of 1.1 which has never been achieved before. Faris Al-Sultan wins the Lanzarote Ironman on his Aero2 IS, marking an amazing fourth Ironman win he has clinched on an Aero2 since 2009. At Eurobike, the Aernario Basic is unveiled. Featuring a different fork and new paint, its price is slightly lower than that of the Aernario G1. Also based on the Aernario G1, the Aernario Disc is unveiled, the first road bike by Storck featuring disc brakes. The aluminum version Zero2Seven is new, too, in the 650B segment. Storck Cycling Gear is extended by items such as a rain jacket, winter clothing, and MTB clothing. 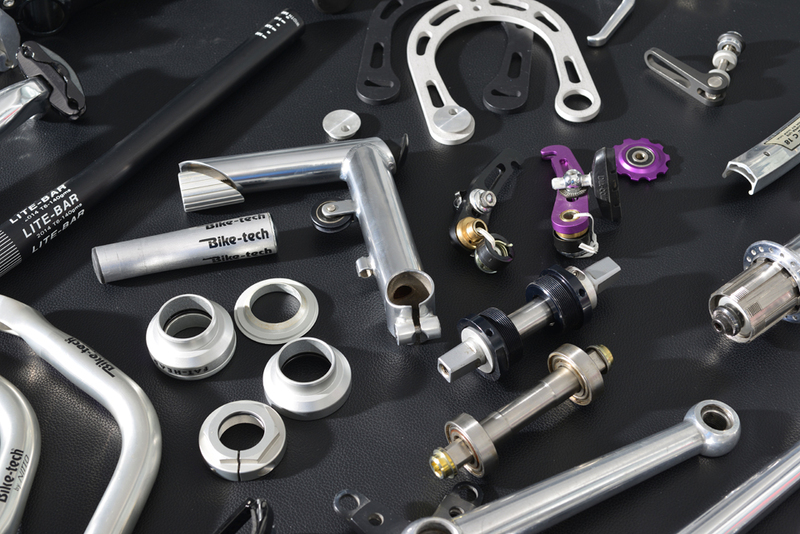 The Aernario G1, Storck Cycling Gear and road bike handlebar RBC180 products are recognized with an iF Product Design Award. With 31 awards won in 16 competitions since 1999, including six iF Gold Awards, Storck Bicycle is one of the most successful companies of the design competition. The Fascenario 0.6 wins the world’s most extensive frame test by ‘Tour’ magazine and additionally receives the Eurobike Design Award. The road bike model Scentron becomes a multiple test winner in the class of Ultegra Di2 bikes. 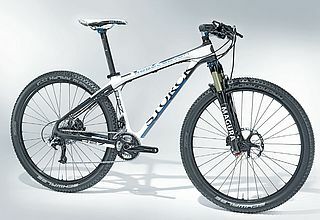 At Eurobike 2012, a completely revamped model range is presented. All the road bike frames are now designed for mechanical as well as electronic gearshifts and equipped with PressFit bearings. Cable guides are now completely integrated. With ‘Sectional Aerodynamic Shaping’, Storck introduces a new engineering design standard that is used on the new Aernario for the first time. 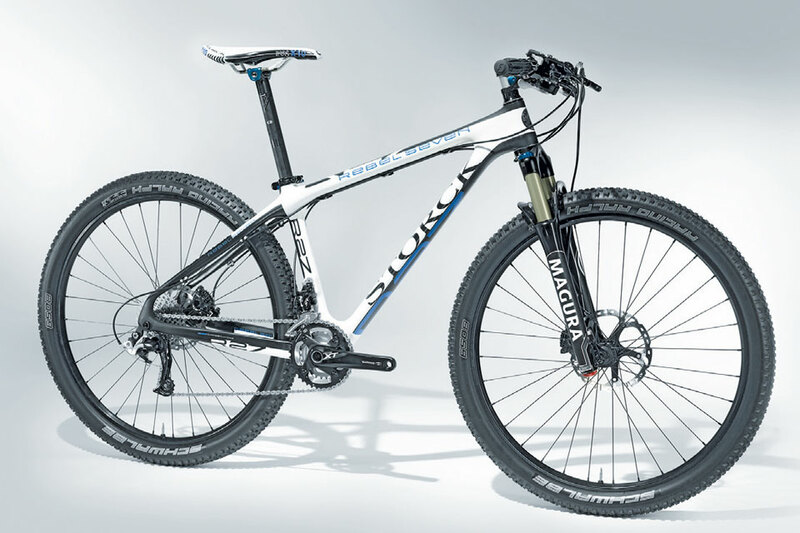 The Rebel Seven is Storck’s first 650B-MTB (27.5”). Based on the successful carbon twentyniner Rebel Nine, the aluminum version Zero2Nine is developed and presented at Eurobike 2012. At Eurobike 2012, the Storck Cycling Gear clothing line developed by Storck Bicycle is unveiled. The Organic Light is included in the exhibition of the ‘Pinakothek der Moderne’ in Munich. The Tri Team Abu Dhabi around Faris Al-Sultan supported by Storck Bicycle clinches seven first places and almost 20 podium results. Furthermore, Al-Sultan takes fifth place in the Ironman World Championship. With the Storck Cycling Team, Storck Bicycle takes up its first commitment in the ‘Everyman’ amateur biking scene. The team uses the Scentron model. Further Storck brand stores are opened in Singapore and Taiwan. 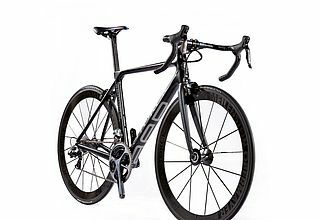 The Fascenario 0.6 combines the top levels of the Fascenario 0.7 IS in terms of engineering design and the technical highlights of the Aero; it features carbon brakes integrated in the fork and rear triangle. All the cables are completely installed on the inside; the frame is designed for optimum installation of the electronic Shimano Di2 gearshift. Based on the Absolutist 0.9, the new Absolutist is developed further, with up to 20 % higher stiffness of the head and bearing. The new Scenero offers good aerodynamics in the lower price range. The Fenomalist Di2 is an extremely stiff carbon race bike with engineering design geared to the use of the electronic Di2 gearshift by Shimano – interior lines and an inconspicuously located battery. The Adrenalin 1.7 is only identical to its predecessor, the Adrenalin Carbon, in terms of its geometry data. Thanks to VVC technology, the 1.7 is stiffer, lighter, and more comfortable. In addition, it features a monocoque rear triangle with the innovative ‘Flex Bridge’ in the chain stay plus a redesigned carbon rocker. 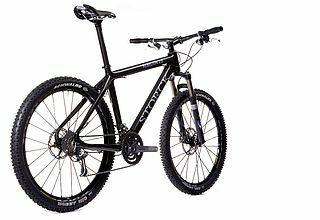 The Multiroad Carbon is a trekking bike with a carbon frame and fork presented by Storck for the first time. 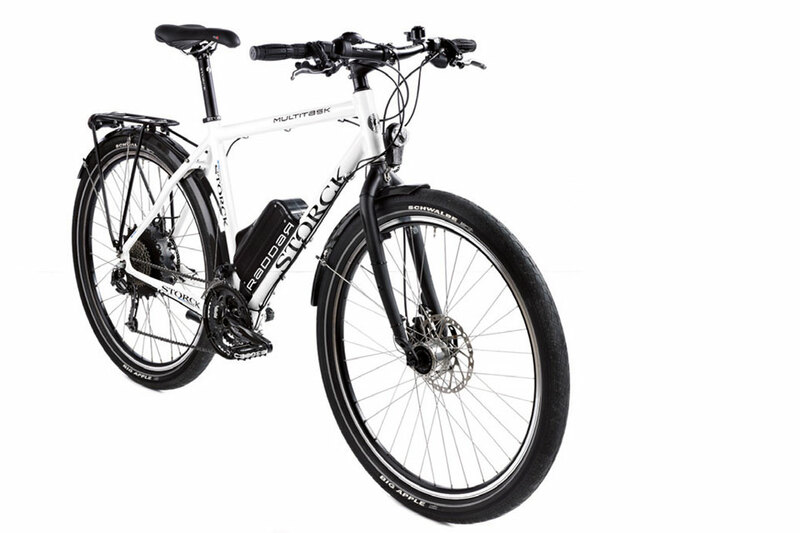 It also provides the basis for Storck’s first electric bike, the Raddar. Storck Bicycle supports the Tri Team Abu Dhabi around world-class triathlete Faris Al-Sultan. This means that top-caliber triathletes are representing the Fenomalist and Aero2 models in international competitions. 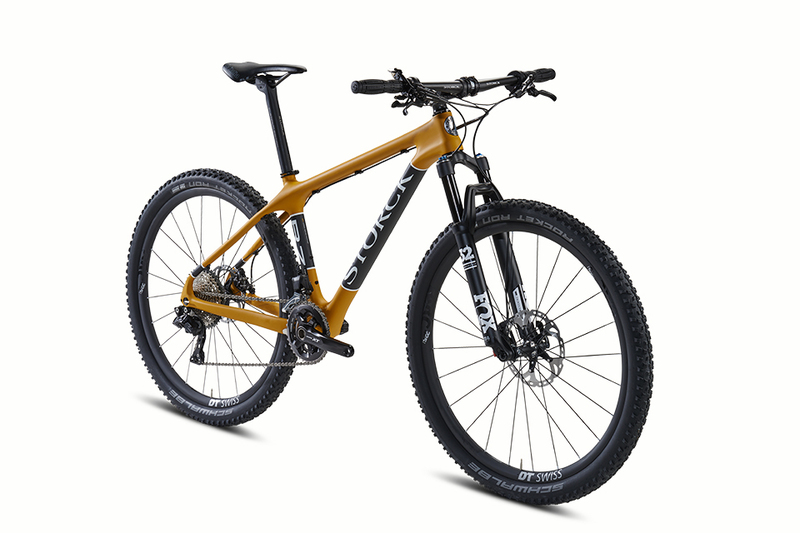 Storck’s Aero2 is recognized with an iF Design Product Award in gold. As the successor model to the Absolutist 0.9, the Absolutist 1.0 with unidirectional (UD) carbon fiber is introduced. The Fenomalist picks up the technical features of the Fascenario and Absolutist models, including the UD fiber and high stiffness values. The Aero concept is rigorously developed further in the Aero 2. It has integrated brakes, a seat angle adjustment, an adjustable gap between the wheel and frame plus it is focused on Di2 technology. As of the 2009 season, the Power Arms SL are available for the MTB sector as well. The Rebelion 1.3, a hardtail carbon frame featuring UD fiber, complements the MTB range. The partnership with Syntace is expanded. In the test by ‘Tour’ in March 2009, Storck wins the constructors’ classification for the third time in succession. In February, the company moves into its new facilities in Idstein. 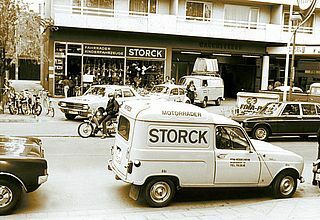 In March, another Storck Store is opened on the ground floor of the new headquarters. In 2009, Markus Storck subjects his brand to a complete relaunch. The logo is modernized, the décor and visual design of the bikes revised as part of an overall concept. Starting in 2009, road bikes of the Storck brand featuring a customized IWC design are offered via the renowned Swiss watch brand IWC. Based on the Fascenario 0.7 and Fascenario 0.8 models, the Fascenario 0.7 IS fuselage package (handlebars, stem unit, headset and crankset without chain blades) is developed. The whole package weighs merely 1,550 grams. The Rebelion 1.0 and 1.1 MTB frames are now produced using VVC technology. This guarantees extremely high stiffness combined with notably improved comfort. Following in the tracks of the time-tested Scenario CD1.0 is the new Absolutist 0.9, which receives a new form with the head tube coasting to 1 ¼” plus oversized chain stays. Markus Storck is recognized with the iF Gold Award for the Fascenario 0.7. iF Design Awards go to the Ergo Bar Ends, the Rebelion 1.1 and the Fascenario 0.8. Additionally, the Fascenario 0.7 IS receives the ‘Milestone’ award for the most innovative bike product by ‘Tour’ magazine. 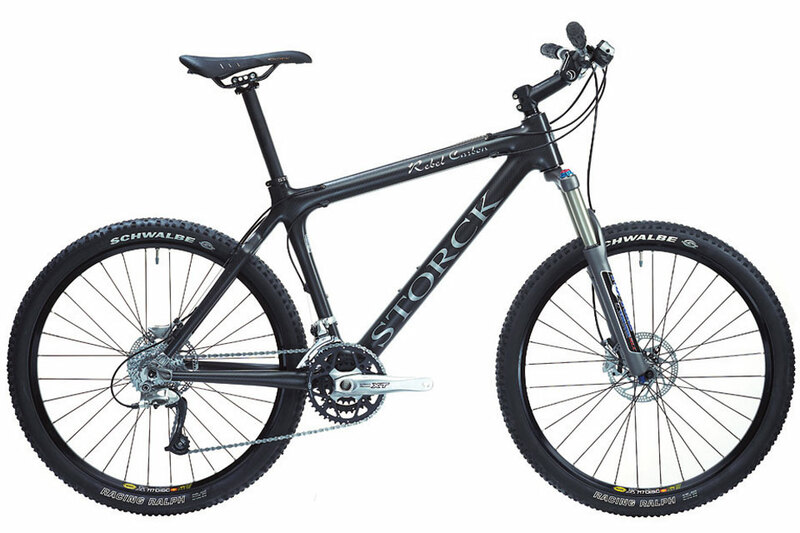 In July 2008, the first Storck Store worldwide is opened in Seoul/Korea, where the entire product range of the company is presented in an area of more than 200 square meters. By taking this step, Markus Storck turns into reality a marketing and sales concept that is totally novel in his sector. 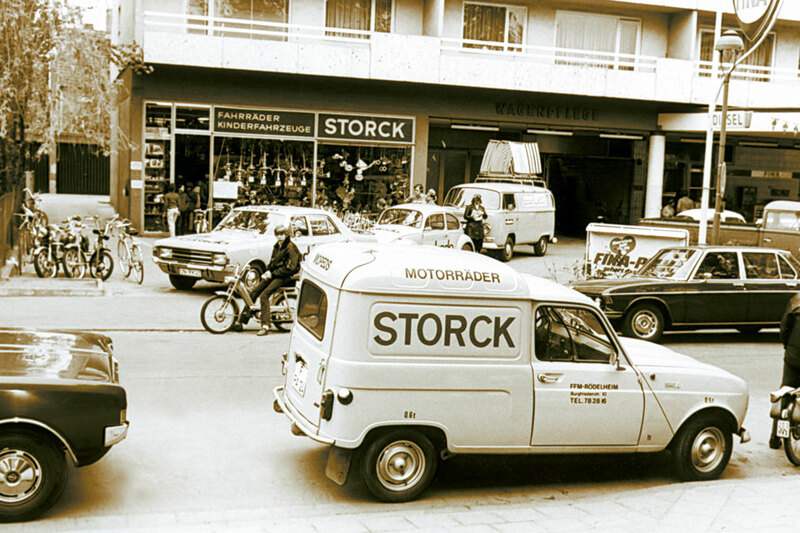 As early as in November 2008, the next Storck Store is opened, this time in Leipzig/Halle. The groundbreaking ceremony for the new Storck company headquarters in Idstein follows. 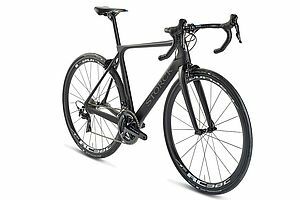 Due to innovative VVC (Vacuum Void Controlled) production technology Storck manages to reduce the resin content of the high-grade carbon frames by a third. The five frame models produced this way become stiffer, lighter as well as more durable and comfortable. The Fascenario 0.7, in a field of 41 candidates that to date makes the test the largest one ever to have been performed by the bike magazine ‘Tour,’ wins across the board: best mark, lightest frame-fork set plus the best weight-to-stiffness ratio. The Rebelion on 1.0 delivers the best values in the hardtail segments ever to have been measured by the ‘MountainBIKE’ magazine (1,079 grams of weight, best stiffness-to-weight ratio and – relatively – very good comfort ratings). The new ‘Power Arms SL’ cranks are designed for even lighter weight and higher stiffness. A collaboration with wheel manufacturer Zipp results in the Zipp 69 wheels specifically being produced for Storck. Exclusively for Storck as well, Syntace manufactures titanium screws anodized in blue. The Scenario CD0.9 and the Aero are recognized with an iF Design Award, as is the Stiletto Light UMS road bike fork. The Power Arms SL for the MTB presented at 2007 Eurobike have a continuously integrated axle for high stiffness and easy installation. The Scenario CD 0.9 road bike fitted with series production components weighs less than five kilos. The newly launched aerodynamic Aero road bike is ridden by professional triathletes like Michael Göhner (2007 European Championship runner-up) and Meike Krebs (fourth in the 2008 European Championships). The Adrenalin Carbon mountain bike is now available completely fitted with a carbon rocker and rear triangle. The weight thus clearly drops below the eleven-kilo mark. At Eurobike 2006, the Adrenalin LT is presented with suspension travel that has been increased to 125 mm. 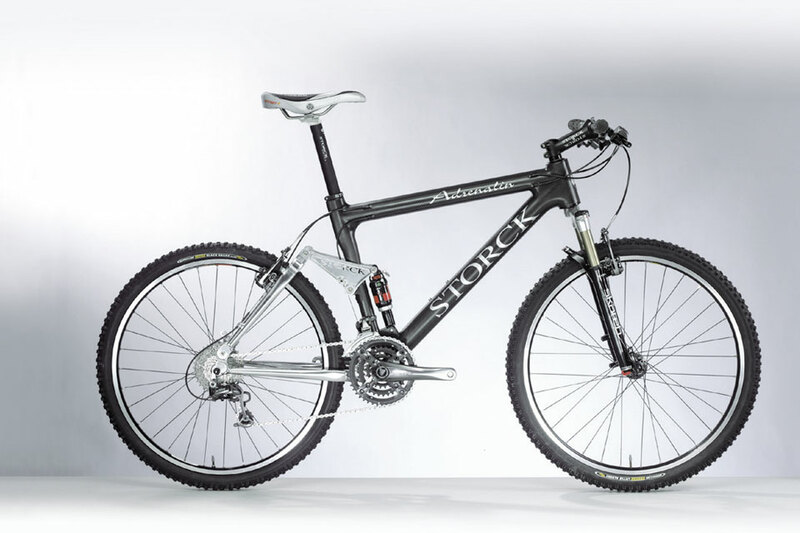 As of 2006, high-end saddle supports, handlebars and stems are branded again with the Storck logo. 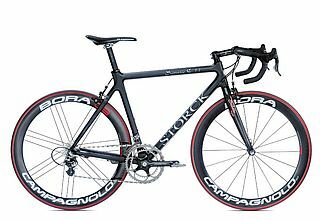 For the Multitask Komfort, the Adrenalin Carbon with carbon rear triangle and the Scenario CD1.0 10th Anniversary, Storck is recognized with the iF Award. At Eurobike 2005, Storck presents its Multitask universal and trekking bike. For the Adrenalin range, a carbon rear triangle is introduced which is also suitable for retrofitting older models. The favorably priced Scenario C1.2 is now available in new color variants. In addition, Storck presents the ErgoBar carbon road bike handlebars. 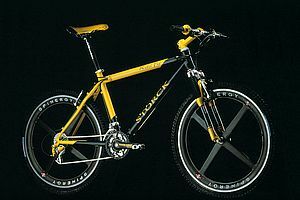 In the 2005 ‘iF Design’ competition,’ Storck wins the coveted IF Gold Award for the Scenario CD1.0 and the Rebel Carbon. At Eurobike, Markus Storck unveils a road bike based on the Scenario C0.9 that has been reduced to 4.2 kilos, plus the super-light 7.2-kilo carbon hardtail Rebel Carbon. For particularly discerning road bikers, Storck introduces the Scenario CD1.0 with carbon fork ends. A patented reinforcement in the head tube provides higher stiffness. The design of the Scenario 1.1 frame and the Storck Ergo handlebars are recognized with the iF Gold Award. The Stiletto Aero, an aerodynamically optimized, very stiff and beautifully shaped full-carbon fork, is presented at Eurobike. It weighs a mere 360 grams and perfectly complements the Scenario CD0.9, CD1.0 and C1.1 road bike frames. Adrenalin and Rebel Race are optimized for use of Enduro spring forks up to 130 mm. New as well is the ISIS-compatible Power Arms Pro MTB crank. Storck presents its Scenario C0.9 and 1.1 carbon road bike frame. With a weight of 985 grams the 0.9 immediately stays below the one-kilo mark that has been considered unbeatable. With over 1,500 frames sold worldwide the 1.1 proves to be an absolute top-seller. The Adrenalin Carbon is recognized with the iF Award at Eurobike. The Multiroad trekking bike is upgraded with a new geometry, disc brake bracket and ‘smooth weld’ welding seams. At Eurobike, the Adrenalin Carbon, which features a monocoque design, is unveiled. With the new Scenario Light road bike Storck sets a new world weight record: 4.9 kilograms with conventional series production parts. 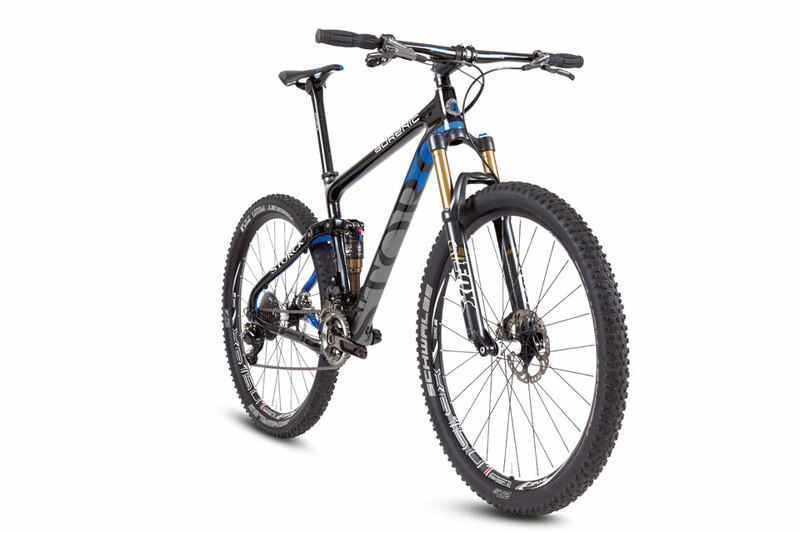 The Scenario Evo is launched on the market as a top-end model in a limited edition. 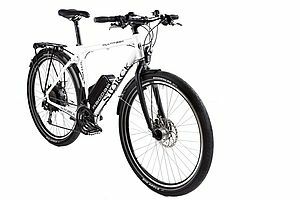 The Storck Organic is showcased as part of the ‘Ingenious Bicycle Patents’ special exhibition at the German Patent and Trade Mark Office in Munich. The Storck company logo featuring the unmistakable Yin-Yang symbol and the integrated Storck S is introduced. 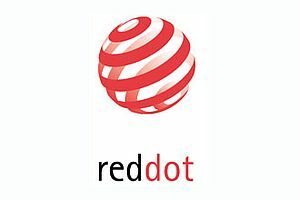 His frequent trips to Asia have inspired Markus Storck in the creation of the logo. The new Organic Light weighs just 2,200 grams (frame plus dampers) and thus has been holding the stiffness-to-weight ratio record of the mountain bike magazine ‘Bike’ to this day. 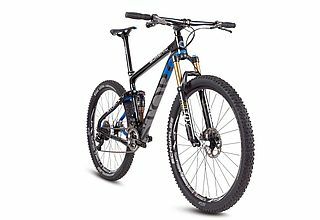 The aluminum hardtail Rebel Race is launched. 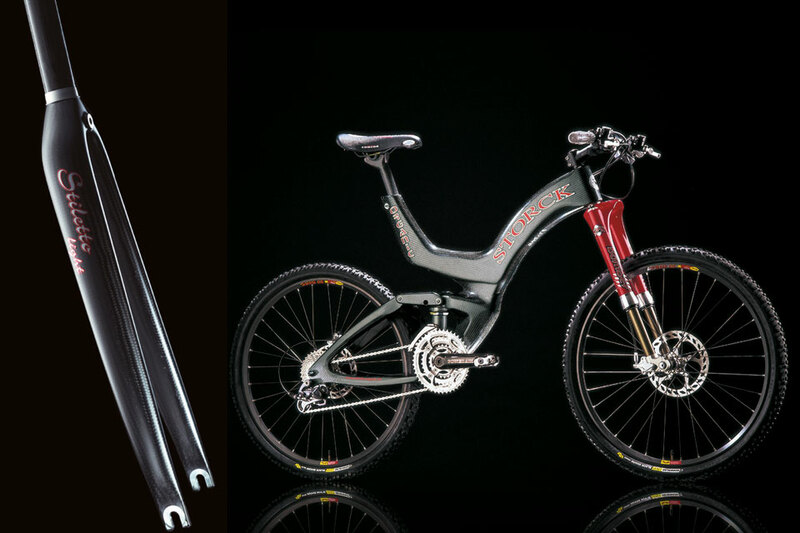 Its curved down tube allows the installation of spring forks with 100 mm of suspension travel. The Adrenalin fully receives a new rear triangle for tires up to 2.35”. Markus Storck introduces his lightest frame to date, the new Scenario Light road bike frame, weighing less than 1,200 grams. The win of the ‘3i Innovation Challenge’ in Solihull in the UK marks a milestone achievement for the company. In the competition of the private equity company ‘3i Germany,’ Markus Storck prevails against 422 competitors and wins 500,000 British pounds in prize money. Organic is voted mountain bike of the year by the trade press. 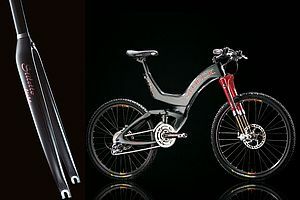 The weight of the ‘Adrenalin’ mountain bike is further optimized – the frame and dampers now weigh clearly less than 2,500 grams. As a new entry-level road bike, the Scenario Race is launched. Following the successful shoot of an Organic commercial, Markus Storck secures TV channel ProSieben as a sponsor for his team. Markus Storck launches the Stiletto Light road bike fork on the market – with a weight of merely 280 grams it is the world’s lightest fork and the test winner of the ‘Tour’ bike magazine. New as well is the World Traveller cruising bike. Organic, which is ready for market, immediately becomes the test winner of the ‘MountainBIKE’ magazine. 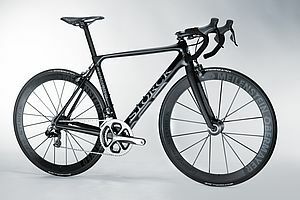 In the German design ranking, Storck again takes first place among the manufacturers and in the table of the ‘Leisure, Sport and Game’ category, he ranks in first place as well. Markus Storck’s bicycles increasingly catch the attention of the design world. 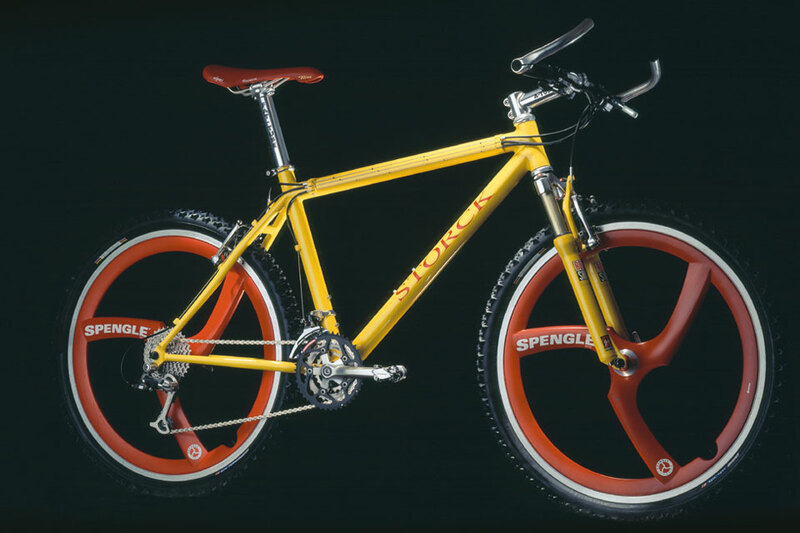 The London Design Museum exhibits the Adrenalin ‘fully;’ the ‘Power Arms’ cranks are showcased at the National Design Museum in New York. In the German design ranking of that year, Storck products take first place. 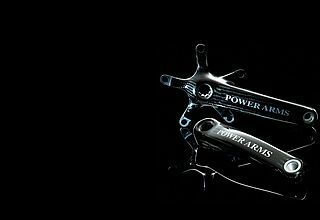 In the same year, the ‘Power Arms’ carbon cranks are offered in three product and price segments. 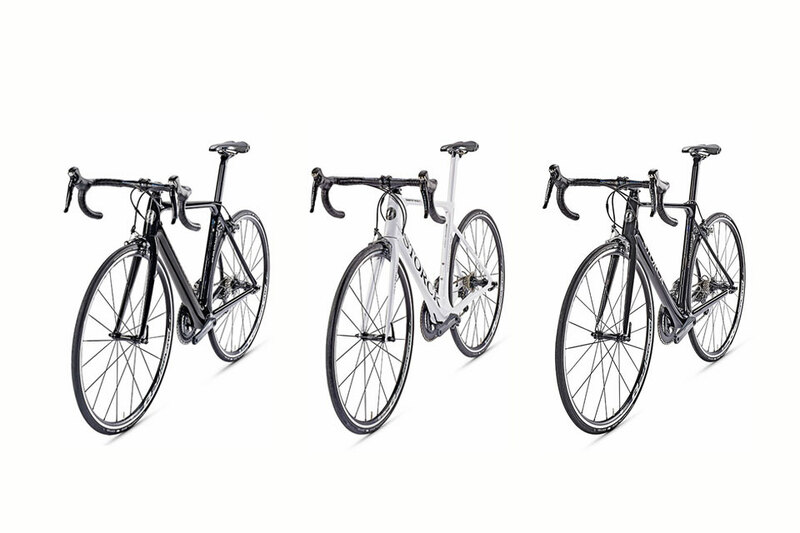 For the first time, Storck offers complete bicycles that can be configured on the company’s homepage. At Eurobike, Markus Storck presents Scenario Pro, a road bike that, by tipping the scales below 6.5 kilos, sets the record in its class. The prototype of the Organic carbon ‘fully’ is presented to the public for the first time as well. 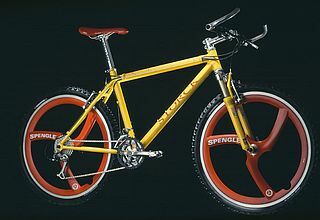 Markus Storck participates in his first ever international design competition and immediately wins the first-place award of the renowned ‘Red Dot Award,’ an accolade for top design quality, for the Adrenalin ‘fully.’ The presentation of the concept of a monocoque full-suspension mountain bike called Stingray serves as the preliminary step toward the development of the legendary Organic. 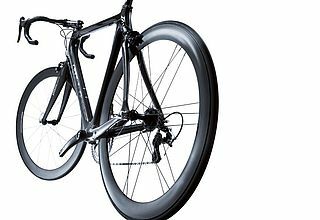 Markus Storck launches the Vision road bike and the Bandit mountain bike as two lower-priced models. At the Olympic Games in Atlanta, Bart Brentjens on a Storck Rebel, emblazoned with graphics depicting an American Eagle, wins the first ever Olympic gold medal in mountain biking. The Rebel frame is subjected to further development and launched with the new Pro Headset system and integrated bearing. In addition to the new Scenario Comp road bike, Storck’s first aluminum trekking bike, the Multiroad, is launched. 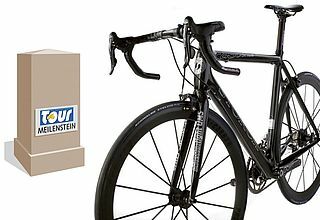 Markus Storck takes his Bike-tech and 2-Danger brands from the market and stops marketing the Klein brand. In the same year, he launches his first bikes bearing the logo of the new Storck brand. The Scenario Pro and Scenario road bikes plus the Legend triathlon bikes are highlights of the collection. Storck manages to immediately secure 70 dealers for his light, highgrade aluminum bikes, the frames of which are manufactured in the United States. Storck’s innovations include the 1 1/8” headset size for road bikes that delivers greater stability plus the Stiletto road bike fork which, with a weight of 300 grams, is both the world’s lightest and stiffest fork. The product that most prominently stands out in the MTB segment is the innovative Adrenalin ‘fully.’ Its rear triangle kinematics were developed in collaboration with the Technical University Hamburg-Harburg under Dr. Eric Gross using a mainframe computer. Markus Storck launches the development of a carbon front wheel hub. A superlight carbon brake booster that weighs only 13 grams is launched on the market. Bike-tech develops the first ‘fully’ featuring four-link technology. Storck starts developing the ‘Power Arms’ carbon cranks – setting an early mile-stone in the company’s history. 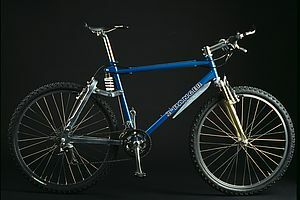 Bike-tech tests its first proprietary downhill bike as early as in 1991. 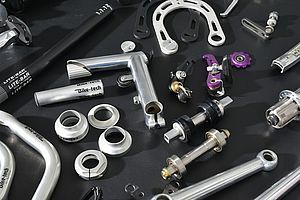 Sees the launch of Bike-tech MTB parts in Germany, including a brake booster and the super-light ‘Power Arms’ aluminum cranks. Markus Storck initiates the first Eurobike event in Friedrichshafen. The formation of the Bike-tech company follows. The first bicycles of the new brand are showcased at the IFMA bike trade fair in Cologne. 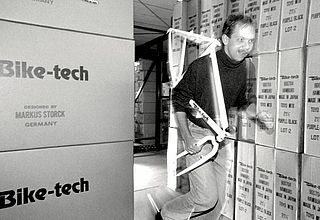 Markus Storck starts importing the US brands Cannondale and Trek in his parents’ store in Frankfurt on the Main in the early 80s, thus bringing completely new brands and technologies to the German market. 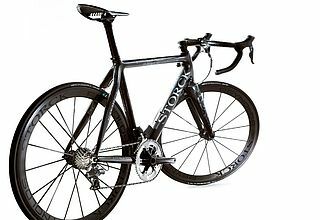 Powder-coated high-end Storck road bikes were built by Techno- bull according to Markus Storck’s specifications. The first bikeshop of the Storck family opens in Frankfurt am Main, Germany.